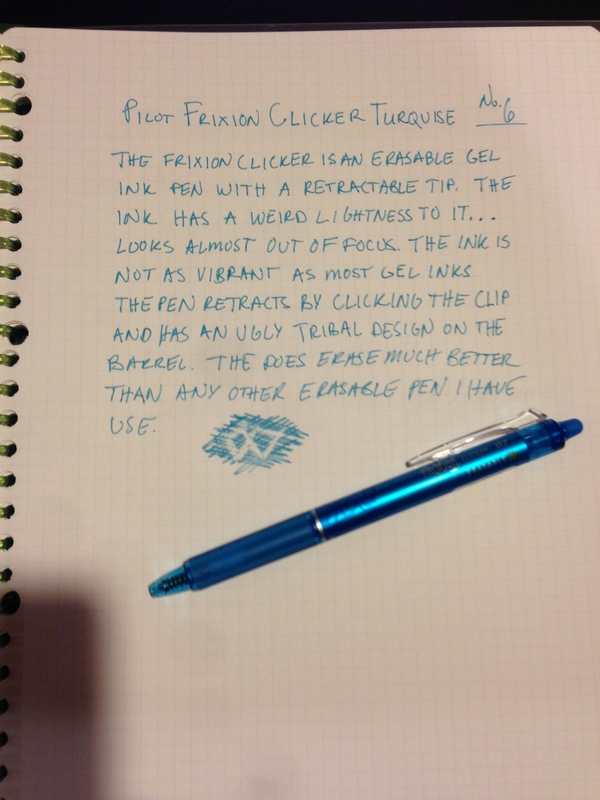 While there are a lot of things I don’t like about the Pilot FriXion Clicker Erasable Gel Pen, it is easily the best erasable pen I have used. Sorry about the picture quality. Out of town for the weekend and forgot my camera. One thing I didn’t mention in the written review is that the eraser doesn’t make a mess like a normal pencil eraser. The ink disappears with heat caused by the “frixion” of the eraser against the paper.